Here’s an essay I wrote in 1999 in Williamsburg, Virginia, in the fortnight before Irene was born on May 5th, 1999. When she did not arrive on her due date, after I’d stopped work and waited for her for a month, I started a new essay in despair, finishing it just before she appeared. The essay is a long meditation on rootlessness and the longing for roots–one of the abiding preoccupations of my life!! I have an idea that some men are born out of their due place. Accident has cast them amid strangers in their birthplace, and the leafy lanes they may have known from childhood remain but a place of passage. They may spend their whole lives aliens among their kindred and remain aloof among the only scenes they have ever known. Perhaps it is this sense of strangeness that sends men far and wide in the search for something permanent to which they may attach themselves. What is home? Familiar earth? Where you grew up? Where people speak your native language? Where those you love live? And a place where you can relax? I no longer, of course, consider my parents’ house, home. It’s now my mother’s domain. I feel out of my element in her home; when I am there, so does she. India no longer feels like home. My parents have moved from Jamshedpur where I grew up to Bangalore, a retiree hub, India’s “garden city,” and its Silicon Valley. Bangalore is Babel: Telegu, Tamil, Kannada, Konkani, English, Hindi–and my Hindi, once fluent, after seventeen years in England and America, is fluttering away, evanescent as languages not used. When I travel overseas, I have the sense of coming home when I reach the United States. When I travel alone, I feel I am at home when my husband and daughters meet me at the airport. And then, the rapture, the sheer sensuous pleasure, the sense of relaxation of inhabiting, once more, 104 Richard’s Patent, Williamsburg, Virginia, the home and garden I have worked–as leisure and money show their fleeting faces–on making beautiful, the garden singing and bright with birds at the feeders, fluttering in season with swallowtail butterflies around our butterfly puddles and sweet flowers. I suppose the spirit has its deepest roots in the place it returns to in dreams. My dreams are set in two locales: the home I grew up in in Jamshedpur, India–spacious, sixteen rooms, airy, whitewashed, high-ceilinged, with a huge garden, dense with fruit trees, flowers, and vegetables; and my boarding school, St. Mary’s Convent, in Nainital in the Himalayas. My spirit was formed there, rather than in Jamshedpur, which was not beautiful, though it had pretty parks, with lakes and islands, rose gardens, and flood-lit rainbowed fountains. But in Nainital, I became myself, evolved–long quiet hours, much time to read and dream in that valley above the limpid Naini lake, surrounded by towering mountains. The Himalayashave imprinted their topography on my soul. Ever since school, I feel restless for the green sweep of mountains and the music of streams. Their belief in things invisible, and in a way without guaranteed tangible rewards, made the great men of faith exiles, says a New Testament writer–“aliens and strangers on earth.” Like them, though not with a purposive displacement, I’ve always felt slightly alien, transplanted, “a minority,” a Catholic in Hindu India; an ethnic South Indian growing up in the north; and then, in a further displacement, my boarding school was in the extreme north of India, in the foothills of the Himalayas. Strangely, I never felt at home in the North Indian town I grew up in, Jamshedpur in Bihar. My parents were not natives. My mother grew up in Bombay; the family of my father, the son of the first Indian Civil Surgeon in the Empire, was continually transferred all over the South. He moved to Jamshedpur after eight years studying and working in England. My parents looked down on the life around them: Bihari Buddus, idiots, they called the locals in a common alliterative insult (often applying the slur to me, for I was born in Bihar!) They lived in a parallel universe, keeping meticulous notes on the four to five Western movies they watched each week in the three private clubs they belonged to, and of every book they read, English language or in translation, Gide, Camus, Woolf, Huxley, Orwell. Like them, I grew up with a faint sense of unlikeness, displacement, so much so that to be an amphibian now feels swimming in a native element, half in water, half in the starry air, a stranger in both worlds, never quite belonging anywhere. I read different stuff, and more, often dreaming the day away, my soul immersed in a book, as if I were drifting in a boat in a lazy river, a sense I’ve not often had after abruptly quitting my Ph.D program for marriage and its enforced extroversion. My mother collected fading cloth-bound books for me from well-educated old friends and extended family members who no longer read. I read the classics, again and again, gravitating to the piles of them in the house, appealing to an aimless moment, ignorant yet of Matthew Arnold’s dictum that life is too short to read anything but the best that has been said and thought (a wise statement, though it can paralyze the joyous exploration of reading: perhaps something better has been written). I soon had more books in my room than in the children’s bookcase of the local library, most of which I’d read–except those that seemed meant for boys: adventures around the world; up in the air; under the sea; ships, pirates, coral islands–nah! I invited classmates on pilgrimages to my room to see my shrine of books on hand-built shelves, floor to ceiling, which I read again and again, books in a language not spoken around me in the marketplace, or street, or by the three servants in the house–Lamb’s Tales from Shakespeare, Norse mythology, Greek mythology, poetry… “You are a square peg in a round hole,” my father shook his head. And, in a double displacement, I believe in a religion forced, nearly 350 years ago, on my ancestors in Mangalore, though I am no longer a Roman Catholic but a mere Christian. All the picturesque trappings of Catholicism have sloughed away. Transubstantiation, saints, purgatory, rosaries, novenas: they no longer figure in my spiritual life. But I still believe in the gorgeous proposition that God entered human history in that zero year. Christ, his teachings: that’s the zigzag that helps me make sense of the jigsaw of life, and find a tranquil joy in it. Oh, lots of things bring me pleasure–my children, my writing, my garden, literature, paintings, film, nature, family life, friendships, travel, thinking–but following Christ unites the disparate chords into a rich and abounding symphony that swirls in the sadness that accompanies joy as moonlight follows the brightest day. I settled down, eight years ago, in Williamsburg, Virginia, where I have no roots except–ironically, paradoxically–actual physical roots, for this is where I live. If I were a woman of vast independent income, or an athlete, ballet dancer, ex-dictator, or high-profile victim of an ex-dictator that would enable me to take refuge anywhere I chose, I would have chosen Oxford, England–Towery city and branchy between towers; Cuckoo-echoing, bell-swarmed, lark-charmed, rook-racked, river-rounded–where I spent three of the most formative, and certainly exhilarated years of my life. Two glorious worlds–Art and nature–within an easy bike ride. Tidewater Virginia does not lack natural beauty, but “high art” entails a long drive. I feel no affinity with the slave-owning colonists who settled here in Williamsburg–land hunters, tobacco farmers, saturating the soil with blood, tears, sweat and greed, aspiring to transcend their status and become landed gentry. Tobacco planters! What have I in common with them? I inwardly growl. If I had to choose a place to live in America, it might be one of those villages outside Boston with literary associations, Concordor Amherst. I love the heady, pure wintry air of the literature of nineteenth century New England–Emerson, Thoreau, Hawthorne, Melville, Dickinson… And I share religious roots and a sensibility with New England Puritans such as Jonathan Edwards, their fervid faith, their passionate absolutist souls, the poetic intensity with which they saw a black and white universe charged with divine meanings, liber mundi, God’s book of the world, through which He revealed himself in metaphors, spiders suggesting divine allegories. I did not get to choose; life chose for me. Lacking “five hundred pounds a year,” I could not make my home anywhere I wished, and I didn’t want to work a job–which gives you mobility (assuming you can get one). My husband sent off applications in the scattershot fashion that computers abet. And then because we were young–and when you are young, you are sanguine, for the future stretches infinitely in front of you, and your nerves are as elastic as your body; and the fellowship to Stanford and Cornell Roy had after he graduated from Johns Hopkins was winding down–he accepted the first job he was offered: Assistant Professor of Mathematics at the College of William and Mary, Williamsburg, Virginia. Where was that? My fingers traced a map. Oh well, we could move. Except that in Williamsburg, willy-nilly, roots started their secret insistent work. “Roots, roots of remembered greenery, traverse long distances by surmounting some obstacles, penetrating others, and insinuating themselves into narrow cracks,” Nabokov muses. My psychic and emotional roots surmounted some obstacles, penetrated others, and insinuated themselves into narrow cracks. I now feel, more or less, at home–though it’s not the place I have chosen, but the place I have accepted. Friends came, more slowly than I wished, but eventually, after wrenching growth in solitude. I can now find my friends’ houses without getting lost, a feat for me who invariably got lost, when I left my house in Minneapolis (another place in which I could have joyfully settled) driving the wrong way up a one-way street, exiting a highway at the last moment, cutting recklessly in front of trucks, the upturned wriggling fingers–and it was the wrong exit! I can now get to the library without horns or fingers. Life is slow here, road rage rare. And, gradually, we realized that we had begun to put down roots. We are at home. We do not plan to leave the orchard we have planted, the herb garden, the flower beds, the pond we’ve dug in the backyard which reflects the woods around it, and soothes the eyes and soul, extending an almost irresistible invitation to sit and be still. I have another project. If you cannot make your home in Eden–then in a kind of judo, literally “the gentle way,” turning adversity to your advantage–make your home Eden. Once you cease rebelling against the constrictions of your life, you can use them to grow as an espaliered fruit tree uses walls. There’s a strength in accepting defeat. That’s that. Now let’s see if we can rebound from it. I think of the Greek monster, Antaeus. Pushed to the earth, his mother, he derived strength from that low place, and rose stronger than before. I felt alien in Williamsburgfor a long time. I’d pray, “Oh Lord, let me bloom where I am planted,” and then cry, for I couldn’t imagine blooming in this little town with little in the way of a literary community, theater, art. After five years in Williamsburg, I met again a well-known essayist I had studied with in Minneapolis, a more literary city. He read my work and said, “What’s happened to you? Your sentences have changed. You’ve become a writer.” In the apparently barren years, without the distraction that so easily distracts, I began to learn, belatedly, to focus. Winter–the lack of abundant sun and water–sends roots down, deep into the soil, seeking nourishment. Similarly, creativity can bloom in winter if you explore the present and its tangles; and the deep past, and taste the pleasures of thinking. Rilke counsels–Even if you found yourself in some prison, whose walls let in none of the world’s sounds–wouldn’t you still have your childhood, that jewel beyond all price, that treasure house of memories? Turn your attention to it. Try to raise up the sunken feeling of this enormous past; your personality will grow stronger, your solitude will expand and become a place where you can live in the twilight, where the noise of other people passes by, far in the distance. I have begun to relish living in a place for a long time, being rooted and grounded in it, making and leaving my mark on the landscape, greeting each season with bulbs I have planted. I love watching the natural year wheel from the picture window at which I write–the kuk-kuk-kuk of the pileated woodpecker resounding through the woods, tiger swallowtails fluttering in their mating dance, bluebirds on the purple spray of eastern redbud each spring; hummingbirds amid the trumpet vine in the summer; red-bellied woodpeckers alighting on the flaming sweetgum in the fall; the trees alive with migrant birds in the winter. Rooted, you can begin to form long friendships. And small towns offer a sense of community, even if it’s a pseudo-sense. Still, even in Williamsburg, Virginia, dizzily growing, familiar groves cut down by the day for frivolous upscale stores, and gated communities of mansions for retirees, I–almost every time I leave my house to go to the library, gym, store, or to walk in that pleasing fake antique, Colonial Williamsburg–see people I know (by name, face, or intimate detail) through my writing; the college my husband, and, occasionally, I teach at; church, children, the neighborhood; and we feel nebulous goodwill as we meet. Through luck, or grace unsought, I have quite possibly found this place, a half acre of dear land, a tapestry deep, rich, and green, I gaze at through the large windows facing the woods in the backyard,. I enjoy returning to my home after my eccentric late night rambles to put recalcitrant babies to sleep. It shines like a sanctuary in the woods, warm and welcoming, or conversely, makes me think of a white, airy cabin of a ship, glowing bright on the seas. The boundary lines have fallen for me in pleasant places, as the Psalmist says. After I bought a house and planted an orchard around it, in a symbolic gesture of putting down roots, I feel quieter, settled, as if my life has put down roots in my house and garden. Both ground me, sometimes literally. I’ve discovered, after years of believing the fallacy of the bohemian, impulse-driven artist–what I now think of as the wasted years of indiscipline, reading till three or four a.m., waking up at noon or one–the fertility of an orderly, peaceful life, like nature, lovely, and on schedule. The crawling of woolly bears; the migration of monarchs and snow geese; snowflakes and spring blossoms; how predictable–but how shiveringly lovely. “It is good to be regular and orderly in your life, so that you may be violent and original in your work,” wrote Flaubert, artist of artists. Art from the fecund soil of a disciplined life–keeping my house beautiful and orderly, tending my garden, nurturing children. Such imperatives can function as scaffolding for the artist, roots anchoring the enormous sycamore. They stave off depression and torpor. The house is ballast, an anchor. After the intensity of writing in which you lose track of everyone and everything around you as you wrestle to the page words and their meanings, you return to the ground base of your home, puttering, cleaning, organizing, and this stabilizing manual work serves as the fixed pole of the compass, a Penelope from which your art journeys, to which it returns. A house, clean, few things in it, everything beautiful and in its place, radiates quietness, an invitation to relax, be still, work, love, be. The tranquil home is the wrist from which the peregrine imagination can soar to return with its prize; the axis from which productivity flows, contentment, and the making and enjoying of beauty. In addition to the traditional monastic vows of poverty, chastity, and obedience, Benedictine monks made a commitment to “stability,” to stay in their chosen monastery, on their elected spot of earth, until death. What a sane idea! When we bought our house, we planted dozens of hostas, hundreds of bulbs and perennials, and espaliered pear trees along the walls, putting down roots with every intention of staying put. Barring biological accidents: more children, paralysis… I cannot conceive why I would want something bigger. Or smaller. It’s probably easier for the spirit to stretch its wings in large airy spaces. The roots of a mighty oak delve into the soil. The deeper they dive, the higher they can soar. What does the oak sacrifice for the height to which it wanders? Mobility. Traveling out of Concord. I have traded the buzz of intellectual, cultural, and aesthetic stimulation in headier places, Oxford, Cambridge, Minneapolis, Boston to live quietly, acquainting myself with the history, natural history, and joys of the land I’ve found myself in, and to enjoy the settled pleasures of rootedness. It’s a form of scholarship, staying put, “traveling a good deal in Concord,” in Thoreau’s phrase, being a specialist rather than a generalist. For to put down roots–to eliminate the distraction and turbulence of mobility–permits one to grow and flower; to concentrate on yielding creative and spiritual fruit. To be rootless, to have no home except in my writing that travels with me wherever I go, now seems as sad to me as the curse of legend on the Wandering Jew: to roam the world until Christ’s second coming. No, I would like, also, to be rooted in the familiar: in a beloved garden, and a beloved house, lived in, improved, made more beautiful through the years, that–like a fossil, or amber encasing dragonflies–will be a silent record of my life in it. Transplantation is never an experiment without peril. Transplants need to be performed in a beneficent season, tended carefully, given compost and extra water. Sometimes for a few weeks or months, the tree appears to thrive, or at least survive, and then, inexplicably, the leaves yellow; the trunk browns; you scratch the bark, and nowhere does it show green, and you know it’s lost, like those survivors of the unthinkable, living testaments to the resiliency of the human spirit, who decades later, disappointing their mythologizers, kill themselves when everything is apparently at its best, a straw igniting old fires, until without warning, the spirit and nervous system snap. Not all trees survive transplantation, or succeed in putting down roots in alien soil to thrive. Immigration–a rude and global transplantation–is a stressor not to be undertaken lightly. For there is no telling which transplants will take. When I study the faces of immigrants, the lostness, the strain of the attempt to sing an old song in an alien land, I wonder if it was worth it. If immigration opens up a way to taste life in its fullness, perhaps it can be justified. For people whose deepest satisfaction is in their work, immigration works out for good, I guess, if it offers a larger, more fulfilling arena for their lifework. It’s a great trade-in. You trade in your roots–landscape, possessions, family, friends, connections, social standing, all things familiar that made up your world–to heed the siren summons to adventure in fresh woods and pastures new. In a sense, you change your very identity. 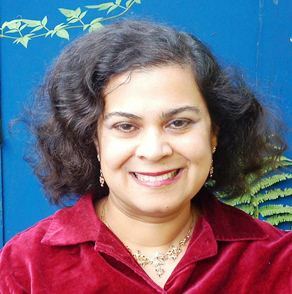 In India, from my features, my coloring, my clothes, my accent, people could, with uncanny accuracy, surmise much of my identity, and place me as I could place them: could often tell that I was a Catholic, educated, upper-middle class, a Mangalorean or a Goan, communities that were converted to Catholicism in the mid-sixteenth century by the Portuguese, and intermarried with the colonizers. As an immigrant, you lose your old identity. People now suspect me of being from Nicaragua, Granada, Cuba, Libya, Lebanon, Iraq, Aghanistan, whichever country Americais currently shaking its mighty finger at. What a mind-boggling uprooting immigration is! Yet even as a teenager, I itched to leave India and strike out for the West. It seemed a larger, freer world, the world of the literature I loved. I wanted to live in England, but my visa forbade work, so to AmericaI drifted. Englandstill seems green and pleasant in contrast to America, a land that works, often soulless in its efficiency, rushed, rushing to the bitter end. To find poetry, mystery, and magic in America, I think one must become a naturalist. That’s where I have found romance and delight–in thermal pools like morning glories in Yellowstone; in shaggy herds of bison shambling across the road in the Badlands; in the intertidal pools of the Fitzgerald Marine Reserve and the seal colonies of the Ano Nuevo State Reserve in the Bay Area; in Arcadia, Yellowstone, Yosemite, Mount Rainier, the Grand Tetons, and Shenandoah. The ancient universe of nature, pristine, magical. Was immigration worth it for me? Yes. I felt cabined, cribbed, confined in India. My family’s litany was: “What will people think?” “What will people say?” I wanted to be free of that conformist society and its expectations. I wanted to gulp experience, to explore the world like Larry of The Razor’s Edge, a teenage hero. I enjoyed escaping from my family–a great advantage of immigration. I wrenched up my roots for the freedom of anonymity; the latitude offered by the variety of ways to behave and be; for privacy and the quiet to work; and for the facets of Western culture that exhilarate me–art galleries, ballet, film, theater, and, of course, contemporary literature. I am not sorry I have transplanted myself. Though the perspective with which I think and feel and view the world was formed in India, and when I sit down to write–the immigrant irony!–I draw on its mountains, rivers, and winds. For much that I absorbed as mother’s milk, embers that still glow in my imagination, is, of course, from India–the poetry of Tagore; the great epic, the Ramayana, with the lonely scrupulous figure of Ram, who set aside his blameless wife Sita, after she was abducted by the demon king, Ravana, even though she had not been ravished–an early exemplar of the morality of a society where appearance and reputation count for everything. And the Mahabharatawith its beautiful heroine, Draupadi, common wife of the five Pandava brothers, who gambled her away to their cousins, the Kauravas; when the victors attempt to publicly strip her, Draupadi’s saree magically stretches even as it was unraveled. Avenging her, the hero Arjuna, in a panic attack before the battle of Kurukshetra, lyrically agonizes in the Bhagvad Gita on the stern requirements of duty which required him to kill the kinsman amassed against him. And then, the story of history–Asoka, converted to Buddhism, planting trees along the famous Grand Trunk Road; the Muslim “Slave Dynasty,” slave succeeding slave as King; the fascinating, psychologically complex Mughal Emperors, inventing religions, erecting perennially lovely buildings, the Red Fort, the Moti Masjid, and the elegant Taj Mahal, cool marble inlaid, in ornate pietra dura, with precious stones, in which once as a child, escaping from a guided tour, I got lost. And I think of the Indian freedom movement with fascination, a triumph of character, conviction, and morality over might–or so it appears. Perhaps because I have mostly been a house mouse, after seventeen years the West retains an aura of strangeness. And I would not trade this shimmering sense of “something rich and strange” to be the bored child of privilege. Cycling on the towpaths by the Isis; walking Oxford streets at night among the Gothic spires, yearning skywards; sauntering dreamily on Addison’s Walk by the Cherwell, that trembled with daffodils: things that might seem a birthright to one more privileged, gave me the sense of living in a beneficent dream. I needed to leave India for the experiences most branded on my memory–pattering water in Bernini’s fountain at the Spanish Steps, near the room in which Keats died, musing, All your better deeds shall lie in water writ; lapping waves near the island graveyard of San Michele, in Venice; strolling beside the canal in Kyoto, bright with cherry blossoms; Botticelli in the Uffizi. Given hindsight, would I leave Indiaagain? Without a doubt, sooner than I did before. I was chafing to escape my conventional, constrained community in which apparently innocuous words and actions fertilized gossip. Though, of course, there is a cost, a psychic cost. You ponder racism, ugly word; wonder if you are being treated differently because of your honeyed skin. Are the slow waiters inefficient, lazy–or racist? People might assume that you do not know how the system works (and you might not) so you are never sure if you are as well-served as one with whiter skin. Strangers screw their faces in anticipation as you open your mouth. Annoyingly, your accent is not always understood. Your Otherness: a source of stress, and gaffes, for yourself and others. But returning will be no easier. As a bear tamed by humans cannot survive in the wild, moving back to India would be a culture shock of its own. The skills of swiftly grabbing an empty seat, of jumping lines have faded away. You would wait to be served, futilely, interminably, instead of hollering in the crowd thronging around the counter. How impotent this politeness in a society where only losers stand and wait. Now, I really feel displaced. I suppose immigration is a way of finding solitude, the solitude of floating away from the anchoring past. You become an alien and a stranger on the earth, like those ancient men and women of faith. In fact, the Biblical writers observe that we are all exiles and strangers on earth where we have no lasting city, restless until we find our rest and completion in the vast sea of God: the deep peace at the heart of the hurricane, the only lasting solace and anchor for our jumpy spirits; our true home, where alone we belong. And, I must say, exile is good for a writer. Even as her wondering, innocent eyes survey her new land starkly, freshly, all her journeying helps her see her old land clearly, as if for the first time. Its very contrast with the present, so efficient, so mechanized, so fast, gives memories of the past the sharpness of an etching. Its essence is so different that biting into a similarity, a madeleine say, sparks a magic lantern show of remembrance. Like the image that emerges as you trace over metal, the past surfaces in all its sensuousness. In the quiet of the present exile, it floats, a remote mountain castle, brightly silhouetted against the sky. The West Coast of the South is one of the most magical places I've been too. I remember the glowworm caves, the rainforest, the honeycombed rocks, Lake Matheson ? and the glaciers. Sadly, I am bitten by travel lust, though I love being rooted in a place. I love living where we now are–and it's our sixth year in our home, which is long for us. Thank you for sharing this Anita. I am fortunate that my “spiritual home” (West Coast of South Island in NZ) is within driving distance of where I live. I'm not very widely travelled – I've only been overseas once as an adult, and that was 13 years ago. I don't feel the need to travel that seems common for many of my country. This post has reassured me that it's okay to put down roots and be a home-body where I am. Blogging is alas absorbing much of my energy and creativity. However, as the girls grow older, I find more of both returning and hope to ease back into more literary writing. But sadly, blogging is virtually all the writing I am doing at the moment!